Many men wonder what the secret is to capture a masculine essence and to tame the inner beast. Whether you’re a bearded man, a guy with a stash or prefer the clean shaven look, a little basic maintenance is all you need to look and feel like the handsome man you are. Fortunately, with The Men’s Grooming Kit, we can help you to achieve your desired appearance goals. We are proud to offer men in Australia and all over the country the opportunity to purchase a variety of male grooming products online. Not only are our products easy to use, but our male grooming products in Australia also make it easy for any man to uphold his attractive appearance. Our products include a complete line of hair, skin and shaving products, in convenient kits so you’ll have everything you need to look your absolute best. Imagine passing a window or mirror and catching a glimpse of your reflection and wondering who that handsome man is. Although it may sound like a scene from a movie, it can be your reality when you utilise high-quality male grooming kits in Australia. Our convenient products include beard oil, grooming tools, men’s toiletries and shaving products to take you from the office to the beach in a few easy steps. For example, if you are blessed with a full mane of hair, don’t let the side effects of unruly hair keep you from achieving your best life. All you have to do is use our styling products and with one sweep through your hair, go from unkempt to manly – it’s that simple. When you have the appropriate styling products, it not difficult to look and feel amazing. Finding an easy to follow a grooming regime that suits your active lifestyle shouldn’t be a chore. 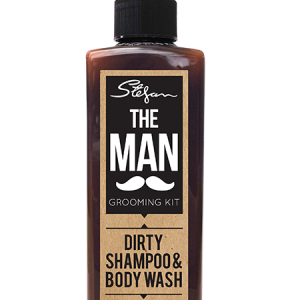 That’s why at The Men’s Grooming Kit, we offer male grooming products in Australia for the man on the go. When you don’t have time to mess around with copious amounts of styling products, count on our product line to keep you moving. If you’re a man on a mission to enjoy life’s adventures, you know the importance of staying on top of your appearance. Our men’s grooming kits provide men with an all-inclusive way to groom and go. When you want to sustain the outward appearance you’re known for, keep all of your products in one place with our handy male grooming kits. For example, our favourite kit “Tame the Beast’ includes one face and body lotion, hair pomade, shave oil, beard oil and shampoo in one convenient pack. It is so easy to put your best face forward and capture the life of your dreams. 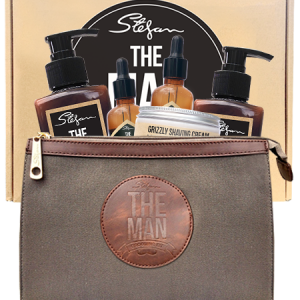 Why not visit one of our local Stefan Salons in Australia to purchase a male grooming kit in person? Or, give us a call on (07) 3840 0000 and begin grooming today.